Please check the instructions for each profession below to learn how to claim your credit. Dietitians who complete all three courses in the Plant-Based Nutrition Certificate program are eligible to receive 30.0 Continuing Professional Education Units (CPEU) from the Commission on Dietetic Registration. Credits are self-reported on the CDR website at http://cdrnet.org. NSCA certified individuals who complete all three courses in the Plant-Based Nutrition Certificate Program are eligible to receive 2.0 CEUs. More information concerning membership in the NSCA can be found on their website. Please review our FAQ for specific details on how to earn credits from the National Strength and Conditioning Association. Please review our FAQ for specific details on how to earn credits from the Foundation of Care Management. *Important Note: These credits are not available retroactively. 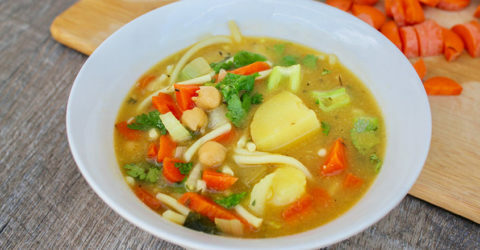 This activity has been planned and implemented in accordance with the Essential Areas and Policies of the Accreditation Council for Continuing Medical Education (ACCME) through the joint sponsorship of the Foundation for Care Management (FCM) and the T. Colin Campbell Center for Nutrition Studies (CNS). FCM is accredited by the ACCME to provide continuing medical education for physicians. FCM designates this educational activity for a maximum of 30 AMA PRA Category 1 Credits™. Physicians should only claim credit commensurate with the extent of their participation in the activity. The Foundation for Care Management is an approved provider of continuing nursing education by the Washington State Nurses Association Continuing Education Approval & Recognition Program (CEARP), an accredited approver by the American Nurses Credentialing Center's Commission on Accreditation. The Foundation for Care Management is accredited by the Accreditation Council for Pharmacy Education as a provider of continuing pharmacy education. The program Pharmacy # for the Plant-Based Nutrition Certificate is 0347-9999-12-021-H01-P. Objectives are appropriate for Pharmacists. Information for CPE Students: Pharmacist, PharmD, Pharm Tech, CPhT must go to napb.net or call 847-391-4406 (National Association of Boards of Pharmacy) to register and receive a NAPB ePID number. Continuing education credits for physicians, physician assistants, nurses, nurse practitioners, and pharmacists (CMEs, CNEs, CPEs) cost $125. This fee is in addition to the total cost of the certificate program and covers processing and administration charges. Dietitian and NSCA continuing education credits are free. Can I earn continuing education credits for professions not listed? The T. Colin Campbell Center for Nutrition Studies is not responsible for obtaining approval for any other professional credit than what is currently listed. Please contact your individual accrediting agency to request approval for other professional credits. How do I claim continuing education credits for dietitians? The Plant-Based Nutrition Certificate is considered a self-study program according to the guidelines of the Commission of Dietetic Registration (CDR). In accordance with these guidelines, students must complete the following to earn credits. Students must maintain a record of their participation in this continuing education activity for a minimum of 2 years after the completion. How do I claim continuing education credits from the National Strength and Conditioning Association (NSCA)? How do I register for continuing education credits for physicians, physician assistants, nurses, nurse practitioners, and pharmacists? 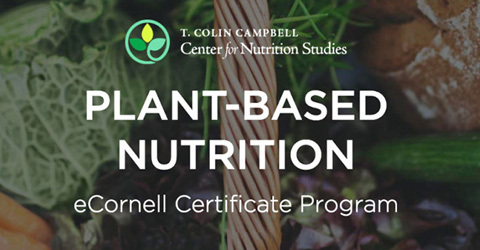 Students can purchase these credits at the beginning of the first course (CNS601: Nutrition and Society) in the Plant-Based Nutrition Certificate series. Please note: registration for these credits requires creating a continuing education user account in an external system (accessed from within the CNS601 course) using your email address and a password. We strongly suggest that you use the same email address and password that you use to log into the eCornell website! What are the requirements to earn continuing education credits for physicians, physician assistants, nurses, nurse practitioners, and pharmacists? Each test takes approximately 10 to 15 minutes to complete, and must be completed in one sitting. A passing score of 70% or better is required for the post-test. The test may be retaken if necessary. Can I earn partial credits? No. Partial credits for completing a single course within the program are not available for any continuing education credits that are offered. Credits can only be earned by completing all three courses. I have registered and paid for continuing education credits but I am having trouble accessing my account. Please visit the following page in the eCornell knowledge base for additional information. You can also email us at helpdesk@nutritionstudies.org. We are available M-F, 9-5 EST. How do I access my credits once I have completed the program?